The Story: Meet Mija, a young girl who risks everything to prevent a powerful, multi-national company from kidnapping her best friend - a fascinating animal named Okja. 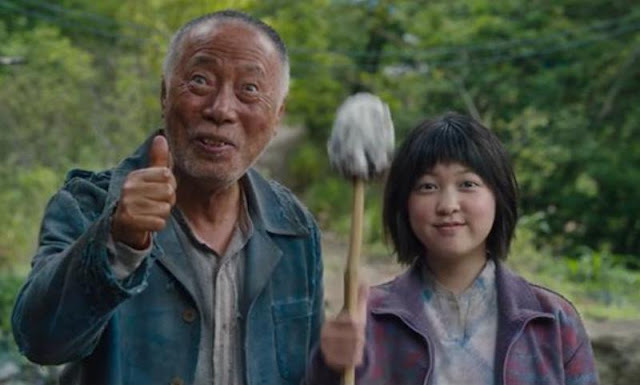 Bong Joon-ho's latest effort is a cute, fun, and heart wrenching tale that is packed full of messaging about the environment, animal cruelty, politics, industry, traditions, and respect. 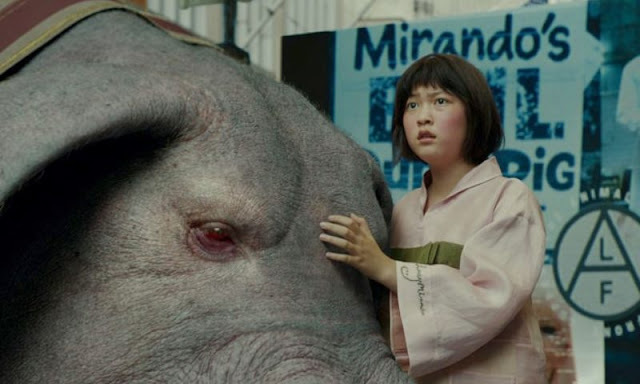 One of the primary questions discussed in the movie is where do we, as humans, draw the line between what is a food source and what is an intelligent being. I doubt if there would ever be a consensus on this matter although the story will definitely make you think twice before ordering that bacon wrapped chunk of meat you've been dying for. To go along with his energetically engaging story, he has populated his picture with a roster of talent that would rival most major Hollywood efforts. The star of the film is the computer generated Okja, a gigantic pig like creature that is just bursting with cuteness and personality and her caretakers, Mija and her grandfather Heebong, are played by Ahn Seo-hyun and Byun Hee-bong respectively. 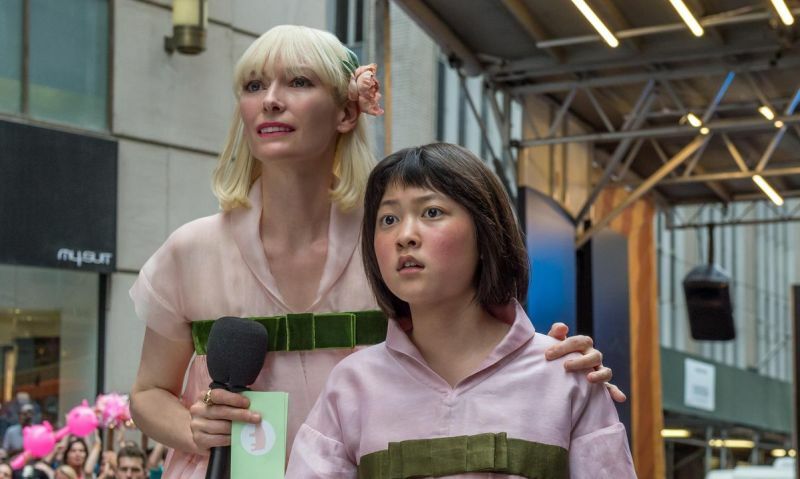 The rest of the cast contains some very recognizable names like Paul Dano, Steven Yeun, Lilly Collins, and Giancarlo Esposito and the two primary antagonists are played by Tilda Swinton and Jake Gyllenhaal who are both fantastic as usual. Swinton and Gyllenhaal are both so good at creating very unique and eccentric characters and this movie is certainly no exception. 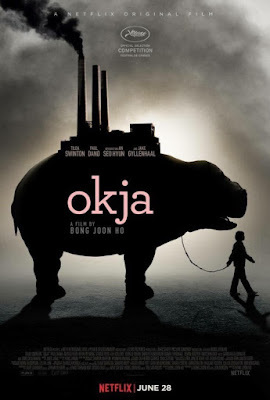 Okja is a movie you will quickly fall in love with and it may just persuade you to change some of your dietary habits in the process. Created by Netflix, the movie had a short domestic theatrical run in the states and is available at any time on the popular streaming service so check it out now if you haven't already.